If you’ve ever had aspirations of writing a play, but needed a kick start, this may be just the motivation you’ve been waiting for:. 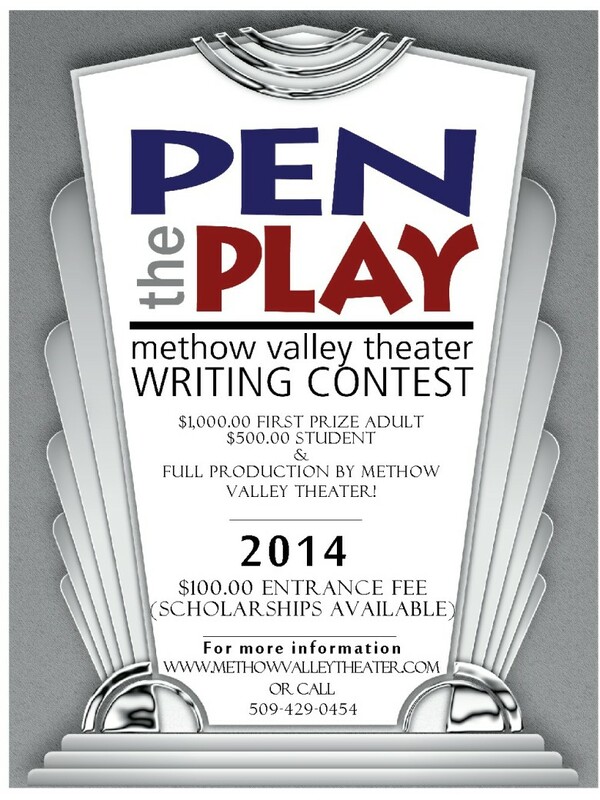 Methow Valley Theater is excited to announce it’s 2015 Pen The Play Playwright contest. Begin now (or dust off that old forgotten transcript) to complete your dream by May 1st 2015. The winners will have the thrill of watching their production come to life by Methow Valley Theater on the Methow Valley Community Center stage in Twisp. The winning 1st place Adult playwright will also receive $1,000.00, and the Young Writer (under 18 years of age) $500.00 in the form of scholarship in the field of their choice. Winning scripts will be based on quality of content and entertainment value. For instance, a well written drama or comedy would trump a musical, but a musical carries weight, as typically its entertainment value is high. A panel of independent judges (to be announced at a later date) will read from anonymous scripts (numbered and catalogued). The contest is open to anyone in the Okanogan and Chelan Counties. Although Individuals are encouraged to collaborate with other writers, friends or musicians, the winning prize money remains the same and will in that event, be split between the team. There is a $100 entrance fee per adult submission, and a $50 fee for youth. There will be two MVT entrance fee scholarships given in each division. To receive the scholarship, you must write a synopsis of the play, along with the first 10 pages of script, as well as a letter as to why you feel you should receive the scholarship.